I recently received the Advanced Mixology Mosow Mule Mug to try out. This would make a very nice gift, and it comes in a very attractive wooden box. 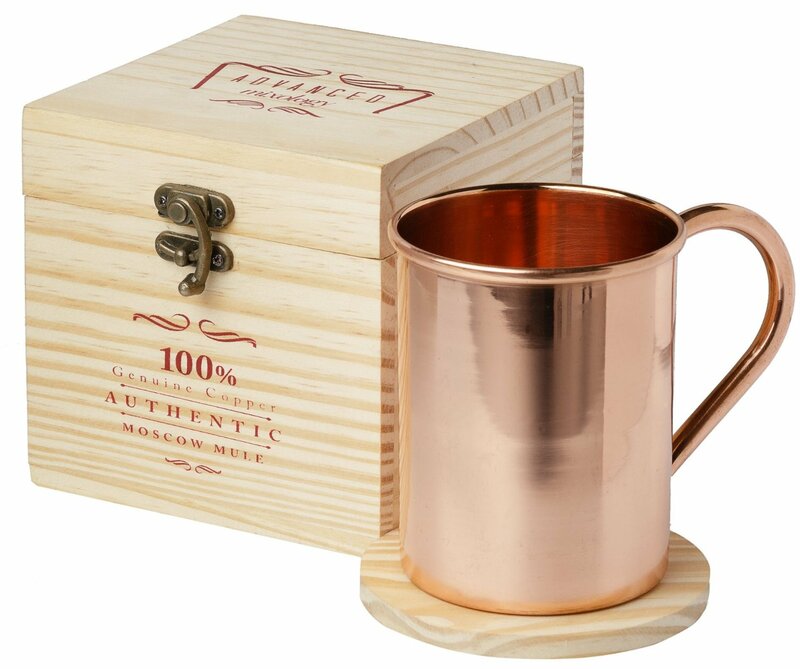 Made from pure copper, no nickel or tin or other metals, to give your Moscow Mule the right taste. 16 oz is the perfect size, not too big or too small. This mug comes with a tarnish resistant food grade lacquer coating but if you like the antique look just scrub it off. There are no rivets in this mug to eventually leak, it's constructed with the latest metal joining technology. I really like this Moscow Mule Mug and plan on using it during this holiday season.